Matthew Richard Karl Piepenbrok was born in 1976 on a navy base in Connecticut and then raised in rural Wisconsin from the age of one. It is here in Wisconsin where his aesthetic and sensibility of glass was formed. 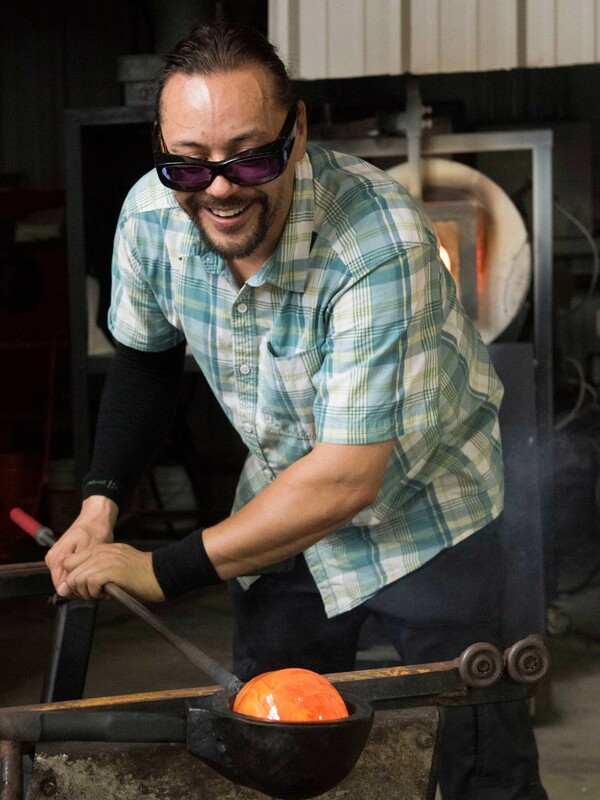 With a fascination and obsession for all things glass at a young age, he had his first “bite” of glass at the age of 10. Through continual education and exploration of glassworking and anthropology he has accumulated several fine arts and anthropology degrees from three universities in the Wisconsin System; following the Harvy Liddleton traditions. He received his AAS in 2005 from UWMC,Two BFA’s in 2010 from UWSP and the MFA in 2013 UW-Madison. All while esstablishing his Family Buisiness, Persional Studio “Studio2” and raising his three now adult children. After attending and working in the University of Wisconsin System from student, to technician, to instructor; Matt has found his love in glassworking to be the intrinsic nature of glass and object-viewer relationship that guides and defines culture and individuality. The artist is an important and highly prized integral part of modernity. The artist is the basis of exploration and expression in a growing world of visual communication. Humanity has been constantly surrounded by the choices of artist and how they choose to express their visual language through objects and culture. Understanding, researching and teaching these principles has been a cornerstone to his artistic education and personal life as an artist.